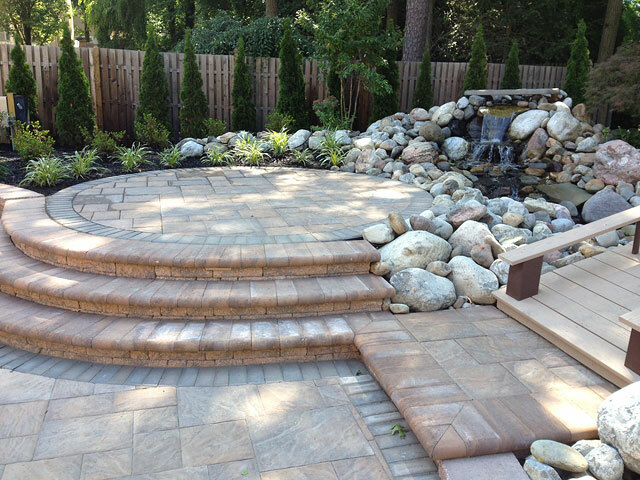 Michael's Landscape Design is an EP Henry Authorized Contractor providing Landscape Design, Patio Work, Pavers & Walkways, Fire Pits, Outdoor Kitchens, Retaining Walls and more in South Jersey (Burlington, Camden & Mercer County NJ). We provide our customers with a wide array of landscape services, but patio, driveway and retaining wall construction are the hallmark of our business. Our interlocking paver and wall installations are some of the finest and most detailed in the industry. We specialize in patio, outdoor kitchen, and fire pit installations. Safe and long-lasting entrance steps and walkways are also integral parts of our projects. Additionally, we have extensive experience in segmental retaining wall construction, bulkhead, and timber retaining wall construction. We pride ourselves on using time-tested methods, the highest quality materials, and attention to detail to make our paver and wall projects the best they can be. Most importantly, we warranty all of our hardscape installations in writing!